Your UNANet account username and password is used to log in to FirstClass, DMS Web and UNA apps. 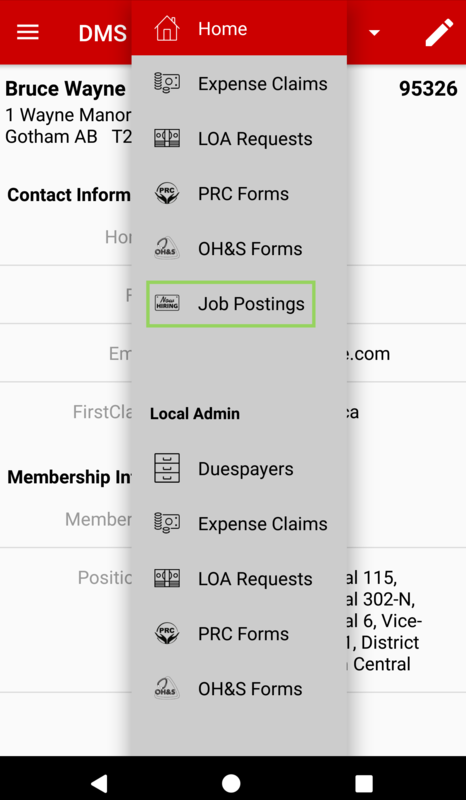 From the DMS home page, tap Home, then tap Job Postings to list all the Job Postings sent to UNA by several employers. 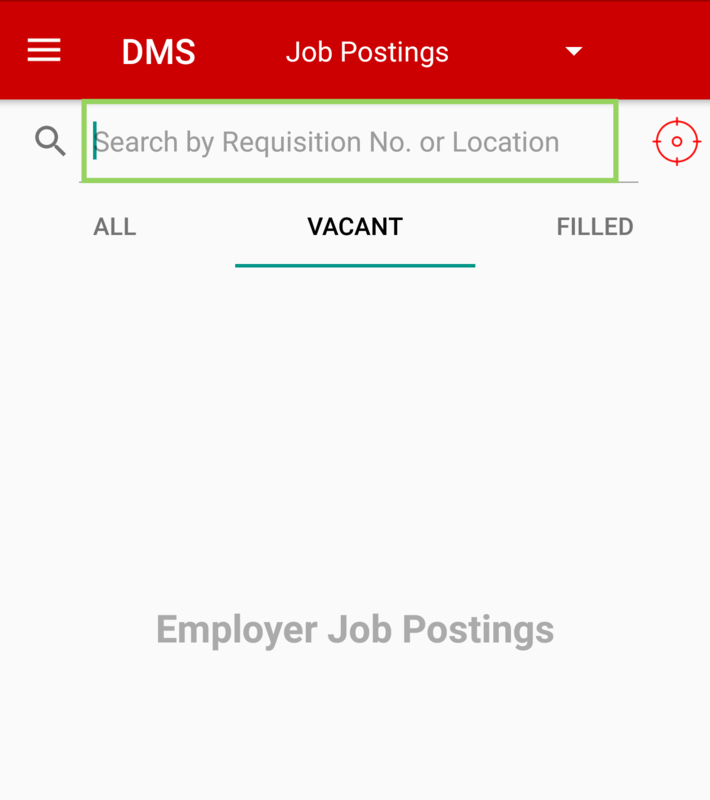 The Job Postings screen will open. 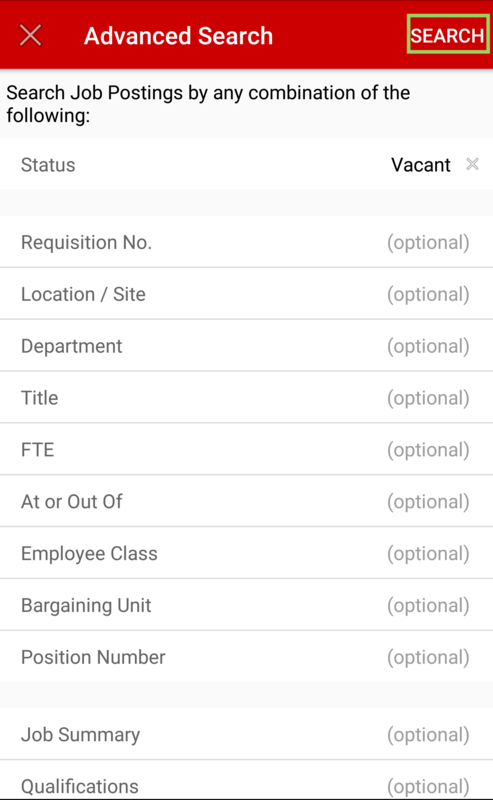 In the Search field you can search by Requisition No. or by Location. 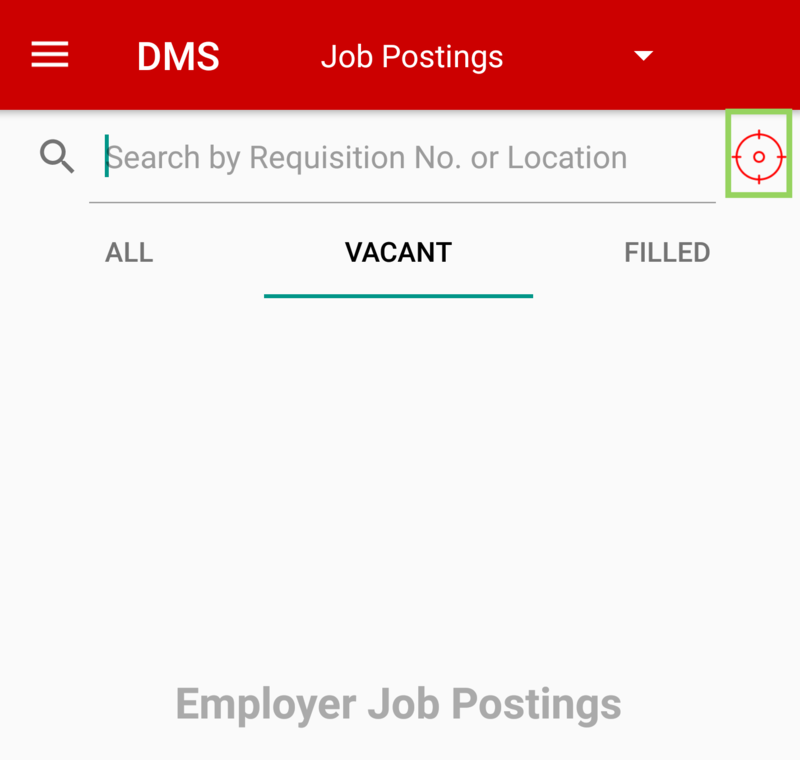 Results will automatically fill in. 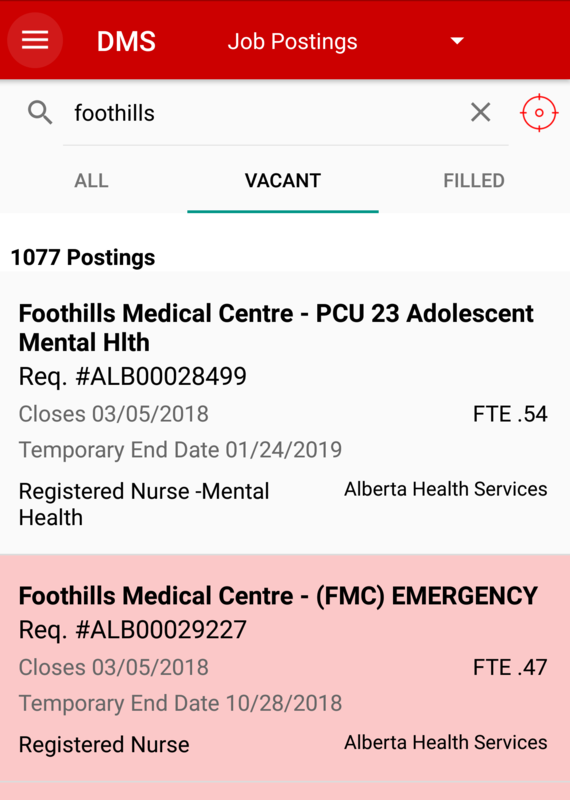 Postings that show in the list view with a red background are ones that have Incomplete Details. You can see on detail view what is incomplete. 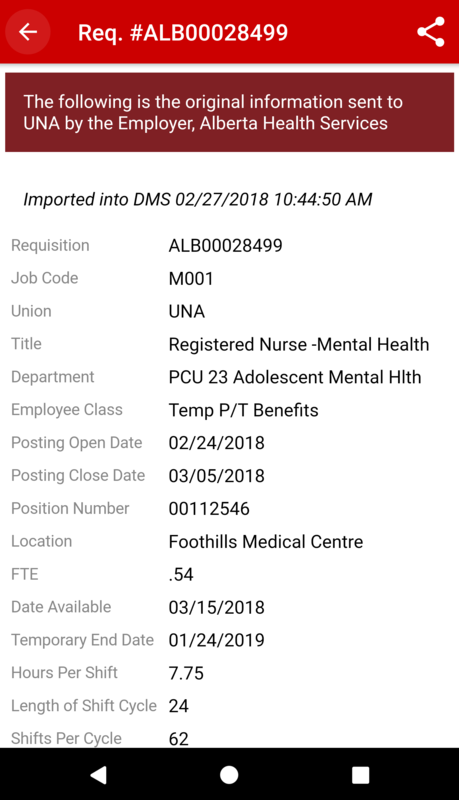 To view the details of the posting, tap the listing and you will be taken to another screen that will have the complete details for the posting. You will need to scroll down to see it all. Just as on the Web, you can do an advanced search. Tap on the Crosshairs icon. 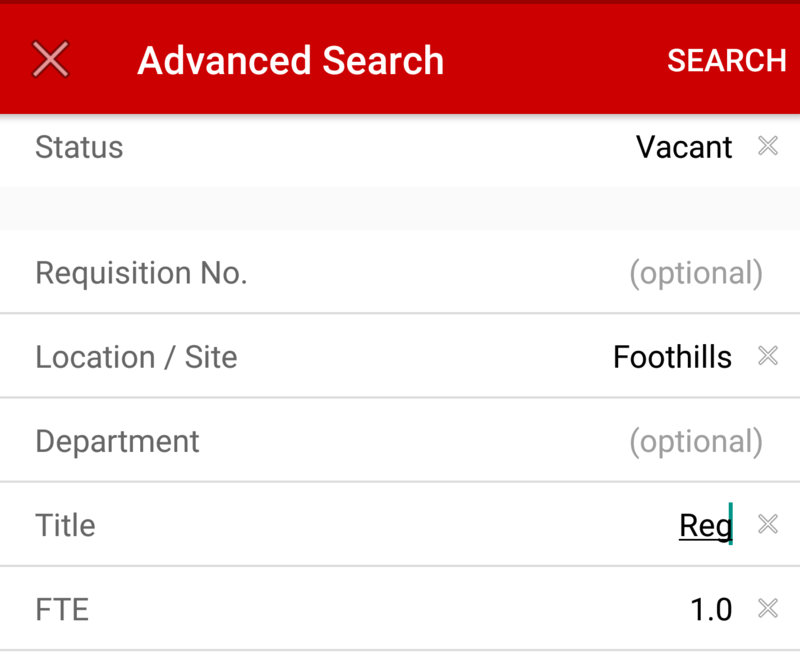 When the Advanced Search options open, enter your criteria and tap SEARCH. 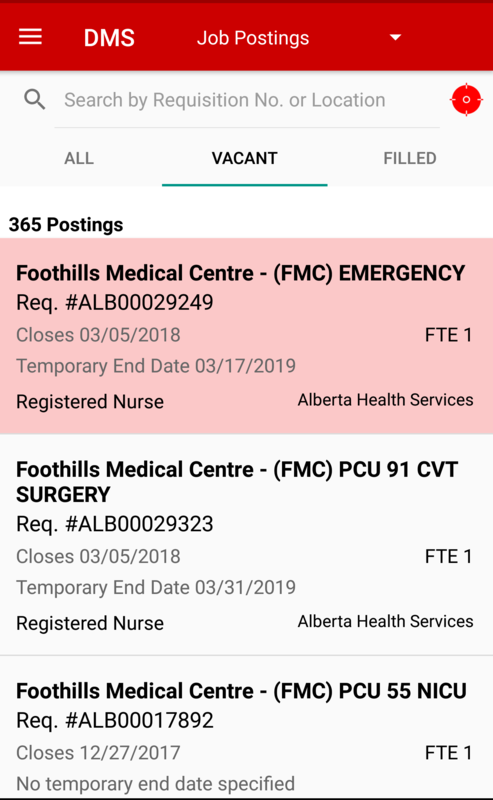 If, for example, you are looking for all the positions at Foothills, you would enter that under Location / Site, as well as any other variables that pertain to your search. Your results will automatically fill in.